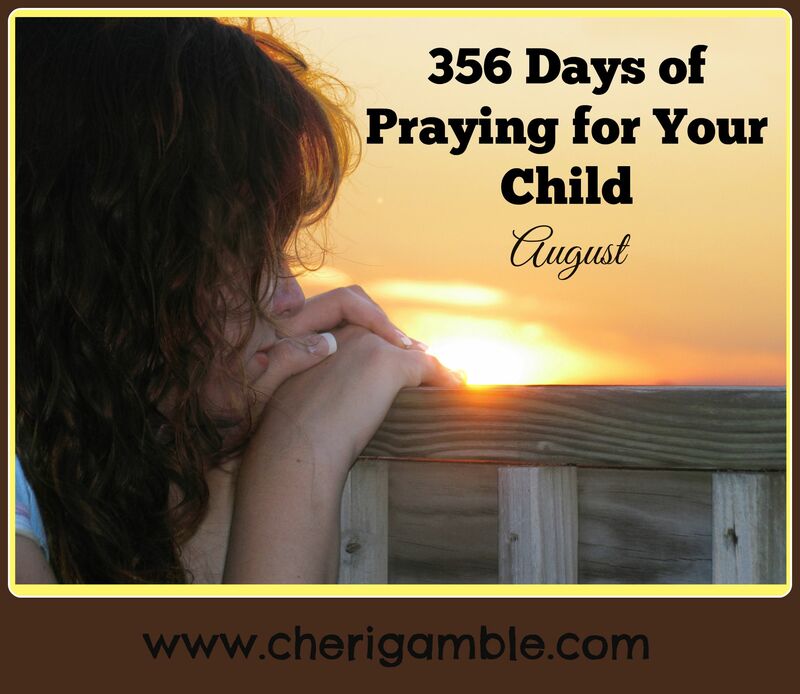 In this post you will find 31 prayer suggestions for praying for your children throughout the month of August. Feel free to print off the list for your own personal use, and also be sure to pass it along to others. 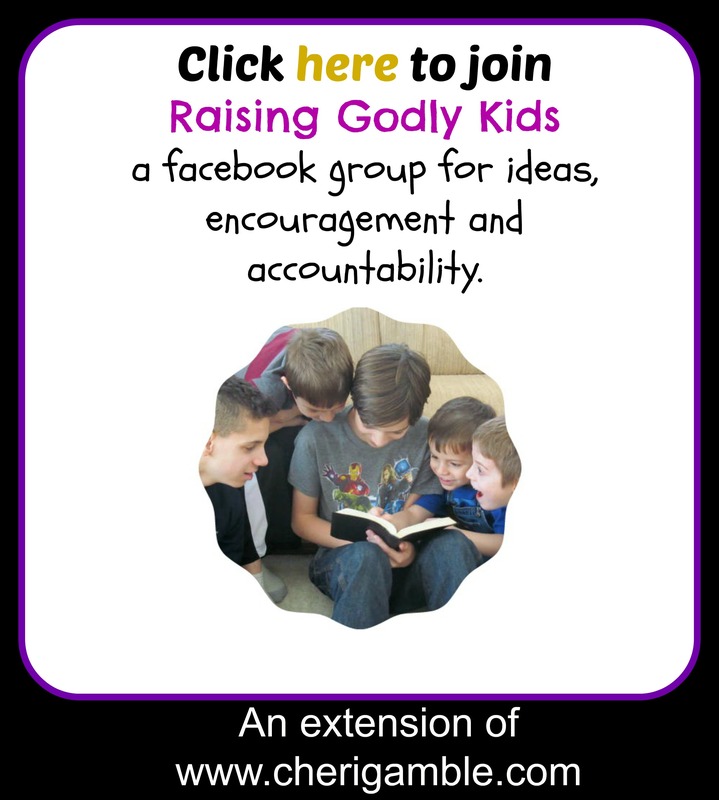 Praying for our children is such an important task. As parents, we need to be intentionally and specifically praying for them every day of our lives! 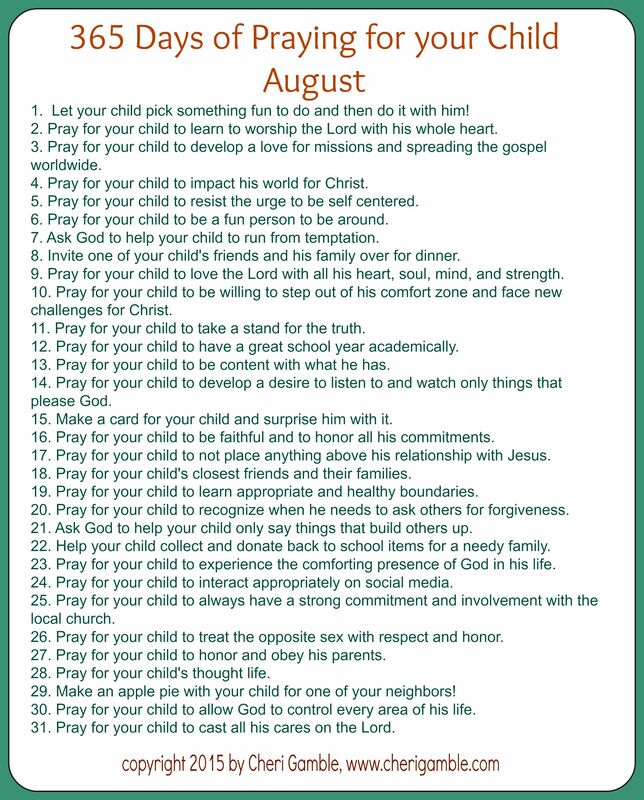 And now, here are this month’s ideas for prayer. Keep praying!